Komodo National Park is located in the Lesser Sundra Islands in Eastern Indonesia. Most famous for being home to the largest lizard on Earth, the Komodo Dragon (for which the park is named), there is also another reason why explorers have flocked to this archipelago for decades. The scuba diving in this part of Indonesia is some of the best in the world. 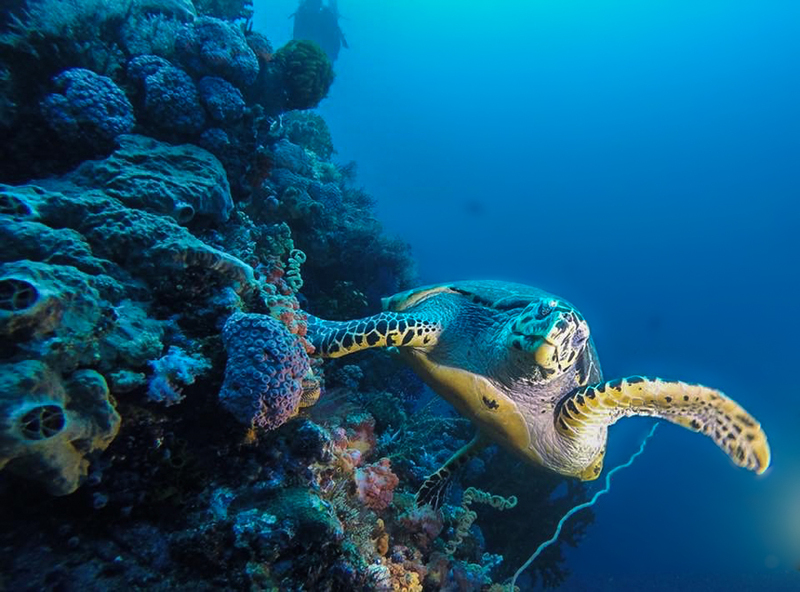 Sitting well within the coral triangle, the seas here boast the richest marine biodiversity found anywhere, with healthy corals, abundant fish life and large pelagic like manta rays, eagle rays, shark and also sometimes dolphin and pilot whales. 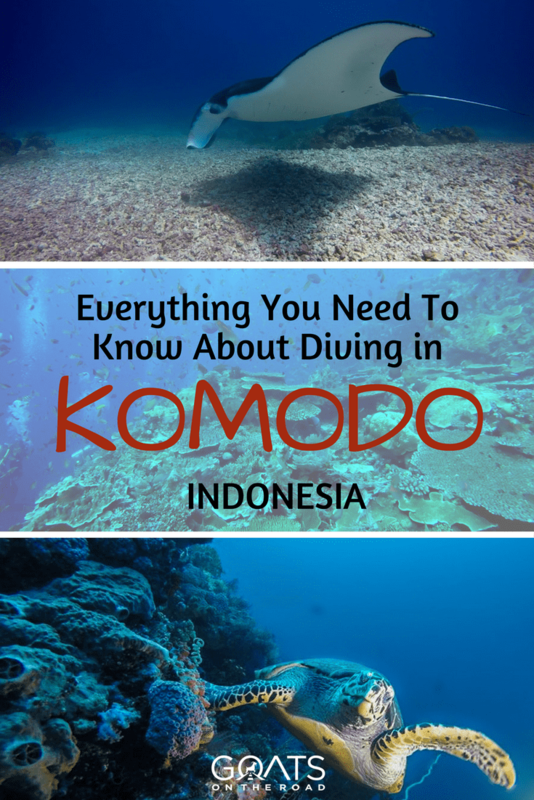 NOTE: Don’t miss our Diving In Komodo video at the bottom of this post! Dariece and I were in Komodo National Park back in 2009 on our first year-long trip and while we did get to see the dragons, I didn’t end up doing any diving. Since leaving the area, I heard countless people ask me “You went to Komodo and didn’t dive?!”. This year I finally had the opportunity to return to these fabled islands and experience the underwater world of Komodo National Park. I was contacted by The Ministry of Tourism of Indonesia back in June and when they told me about the trip that they had planned, I was beyond thrilled to be invited. The Trip of Wonders 2017 took 10 bloggers and online influencers to 3 of Indonesia’s Best Dive Locations, Alor, Komodo and Raja Ampat. Komodo was our second stop of the trip and as I sat in my plane seat, gazing out the window at the scattering of emerald islands in the sea, my friend Justin leaned over and told me that this is the best dive location he had ever been to. Coming from a guy who’s done nearly a thousand dives and is on a mission to see the top 100 dive sites, this was a big statement. I couldn’t wait to land and get in the water. There are no hotels or towns on the islands in the National Park as they are protected, so visitors have to either stay in Labuan Bajo (the gateway to Komodo) or join a live aboard dive boat. Our trip was on the latter and I highly recommend the experience. 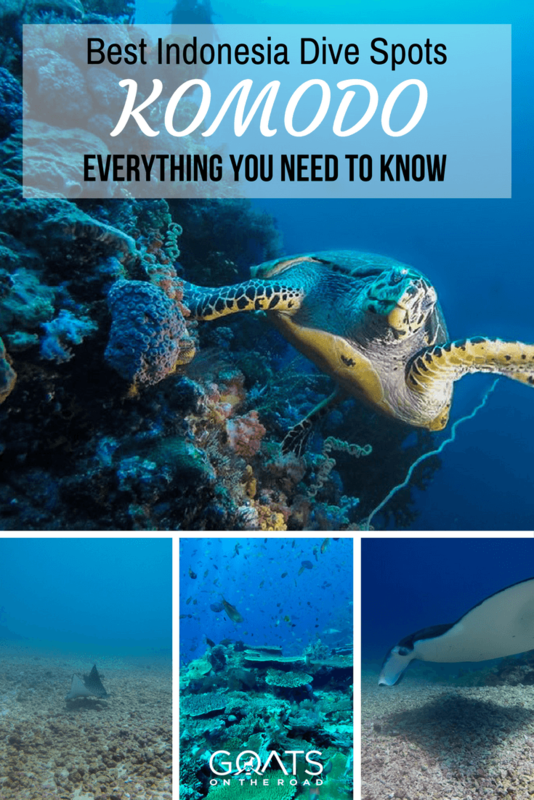 In this post I’m going to not only tell my story of the incredible diving trip in Komodo, but also give you all of the logistics, costs and itineraries so that if you want to plan a similar trip, you can easily do so. For more on travelling around this area and doing some island hopping from Komodo to Flores, click here. We flew from Alor to Labuan Bajo (LBJ) in Flores where we met up with the liveaboard boat. The journey to get from Alor to LBJ was easy enough, but most people won’t likely be travelling from Alor as it’s rather off track. I’ll include my itinerary as well as the more common routes that you’d likely take if you were to visit Komodo. I’ll also include the ferry routes to get to Komodo as many people reading this are likely on a longer Indonesian trip. We flew from Alor to Kupang and then onward to Labuan Bajo. The best flights to take this journey are with Wings Air as they typically only have a quick 20 minute stop over in Kupang and cost as little as $75 one-way or $140 return (prices vary). Garuda Indonesia, Indonesia Air Transport (IAT), Merpati Airlines, TransNusa, Sky Aviation and Wings Air (Lionair) all fly from Denpasar to Labuan Bajo (Komodo Airport), providing daily non-stop 1 hour flights between them costing around $80 one-way or $150 return. 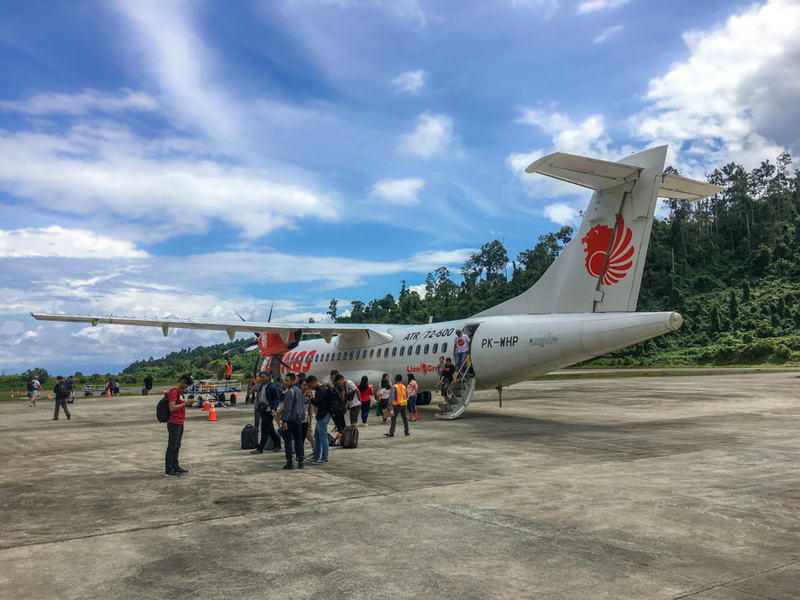 Garuda has daily non-stop 2.5 hour flights from Jakarta to Labuan Bajo for around $175 one-way and $350 return depending on the season, while other airlines like PT Nam and Swirijaya Air will have a stopover in Bali. The port in Labuan Bajo is located in the middle of town and you can walk from there into town within 5 – 10 minutes. There are twice daily ferries from Sape in Sumbawa that arrive in Labuan Bajo at around 4 pm, while the journey from Labuan Bajo to Sape leaves at around 9 am. Both directions cost Rp 56,000. There’s also a speedboat that runs three times a week, takes only 3 hours and costs Rp 130,000 per person. There are also some companies that do 2 night / 3 day trips from Lombok to Flores for Rp 170,000. You generally sleep on mats on the deck. We were on one of these boats in 2009 and while they’re not comfortable and everyone seems to smoke, they’re an adventure. You can also rent cabins on these boats for around Rp 2,600,000. There are great bus and boat combos that can get you to Labuan Bajo as well. When we were in Indonesia in 2009, we opted to be as independent as possible and tried to book everything separately. This turned out to be a mistake. Not only did we waste time and energy bargaining (and getting ripped off) for transport all along the way, it also ended up costing us more than the VIP bus / boat combo. To book the combo ticket, you’ll have to head into a tour office on whatever island you’re on, and ask about VIP Bus / Boat Service to get you to Flores. From Gili Islands and Lombok, the journey will be around 24 hours and will likely cost you around Rp 350,000-450,000 including all transfers and ferry tickets. While most serious divers will probably want to join a liveaboard to get the most of the islands around Komodo National park (like we did), there are also cheaper options like staying in Labuan Bajo and heading out on day dives to the closer sites. I’ll list both options below. There are numerous dive shops in Labuan Bajo that can take you out to some dive sites in Komodo, but without a doubt the best way to experience the diving in the National Park is to join a liveaboard. These massive ships often have numerous cabins for sleeping, comfortable chilling areas and even air conditioning sometimes. We joined the Embun Laut boat and as it was my first liveaboard, I don’t have much point of reference, but I thought it was pretty amazing. There were a few very small and very basic cabins, but all had AC and there was plenty of room to chill out and relax on the upper 2 decks between dives (the boat had three levels). If you want to get on the same liveaboard that we took, you can check them out at CND Dive, but there are also a lot of different companies to choose from. Shop around to find the best deal for you. Note: One huge bonus of the Embun Laut livaboard is that we had Condo on our team. This 57-year-old legend has been diving in Komodo National Park since 1987, has over 10,000 dives under his belt and he helped discover and map many of the dive sites in the region. With Condo, we knew we were in good hands. I did some research and found that the prices of Livaboards in Komodo vary greatly, but many of them are a great value. Our boat had very basic rooms, while some other ones look like they’re quite a bit more luxurious. Our boat was really large with nice chillout areas on 3 different levels – 4 if you include the roof of the top level where I chilled out and watched the bats fly overhead. Most of the rooms were pretty small, but they were pretty comfortable (although the bed didn’t have sheets or blankets). I was pretty comfortable sleeping here and it was great to have aircon in the rooms. You generally have to charter the full boat (max 10 people) which will cost $5,460 on a 2 night 3 day trip (like we did). 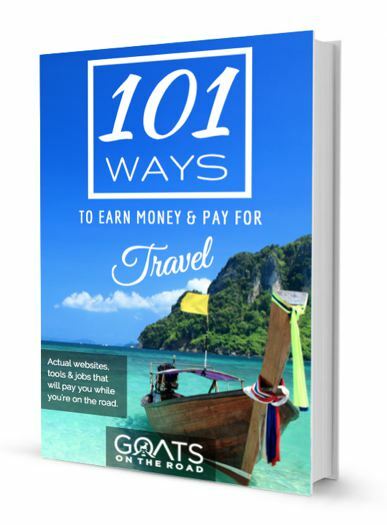 Divide the total by 10 and it works out to be $546 per person for 3 days including transport to the dive sites, 3 dives a day and all food and non-alcoholic drinks. You can hop on the Calico Jack for $3,760 on a 12 day trip including a cabin, all food, beverages and diving. 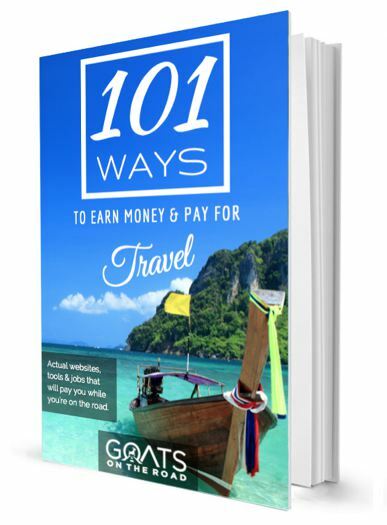 That works out to be around $313 / day, but if you facter in the cost of the transport, accommodation, food, drinks and diving, it’s not so bad. 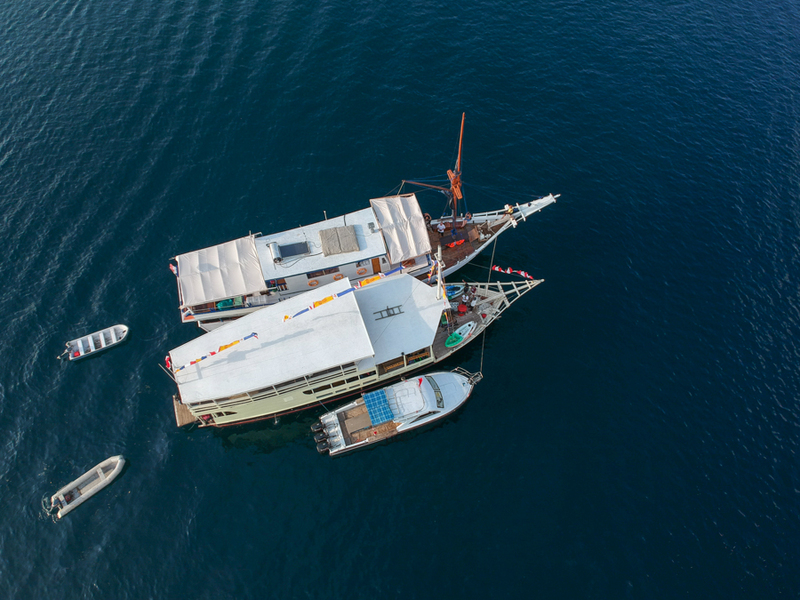 This 33 meter long dive boat can take passengers on a 7-night dive trip in Komodo for around $3,300 including everything that the Calico Jack includes. The La Galigo dive boat looks like a pirate ship in the water and has some beautiful and comfortable rooms. There are numerous hotels that are right in Labuan Bajo and some of them also have a resident dive shop, but because the town is so small, it’s not necessary to only stay in dive hotels as you can simply walk to the nearest dive shop to organize your diving. 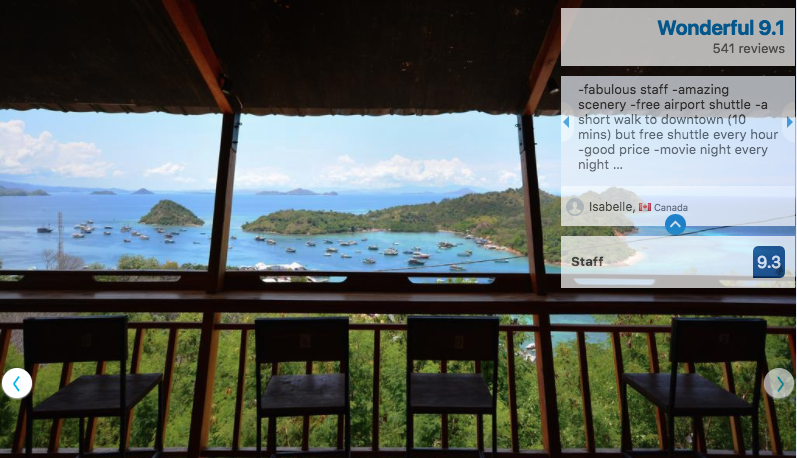 Here are the best hotels in Labuan Bajo based on traveller ratings and ratings on Booking.com. The rooms here cost around $75 per night depending on the season and are quite comfortable looking. They also have dorms for just $12 per night. The hostel offers daily dive trips to Komodo as well as snorkelling and other tours. This place has a beautiful view over the islands and they have dorm beds starting at under $10. 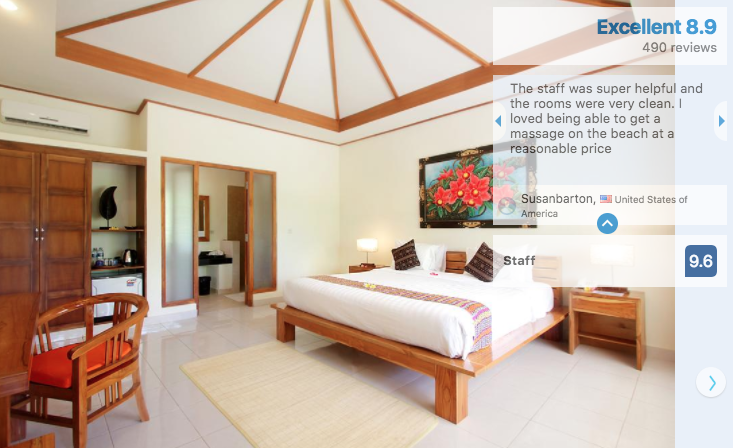 They can help arrange diving and other trips into Komodo National Park and they have excellent ratings on Booking.com. This boutique style hotel has beautiful rooms and offers free airport transfers with most bookings. 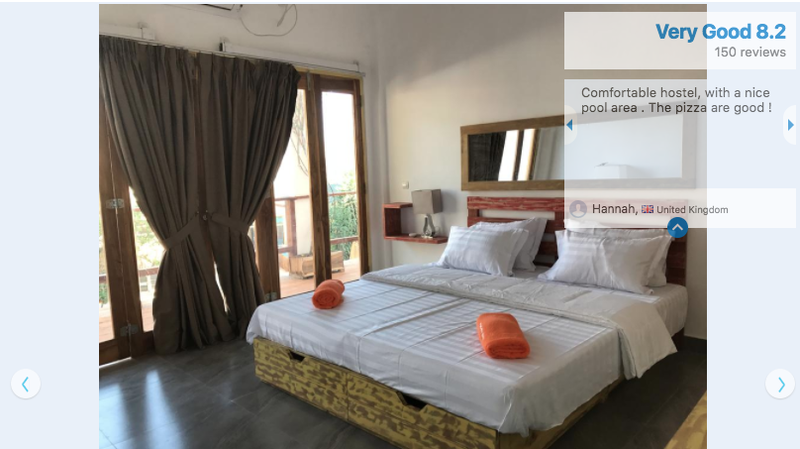 They can also help arrange diving and other trips into the park and for the same price as the more basic Dragon Dive Komodo Hostel, you get a good breakfast included. Okay, now we get to the best part. The diving in Komodo is incredible. 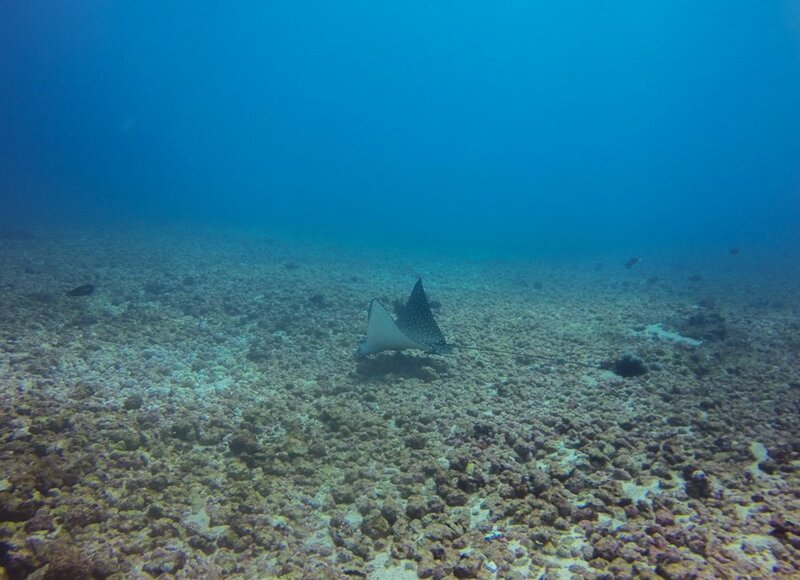 We saw manta rays, eagle rays, sea snakes, countless turtles, sharks, crocodile fish and clouds of reef fish so thick that they nearly blocked the sunlight on some dives. I’m going to list all of the dive sites that we went to as they were some of the best, but I’ll also list some of the other dive sites that we missed out on, in case you visit Komodo on a longer trip or end up doing more dives. This shallow, easy dive would be pretty uneventful if it wasn’t for all of the Selachimorpha (shark) species swimming around. 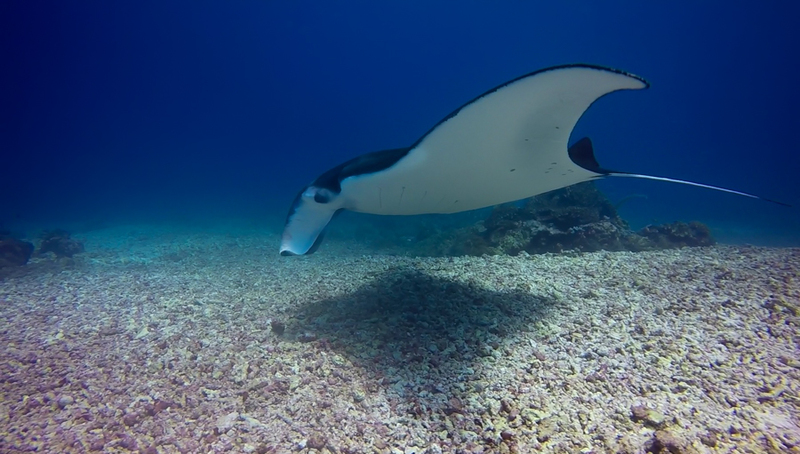 There are plenty of eagle rays and reef sharks here, but of course the main reason this dive site is so popular is the presence of the massive, slow-moving manta rays that often gracefully fly by. We were lucky enough to see three manta rays on two separate dives here, as well as an eagle ray, reef sharks and a few turtles. The highlight of this dive is without a doubt the manta sightings which will go down as one of my best favourite experiences of all time. The massive creature with a six foot wingspan flew right at me before banking left and disappearing into the shadows. Amazing. This massive drop off dive was probably my favourite of the Komodo trip. We went down to around 28 meters and looked up at a massive coral crusted cliff. Dozens of turtles were grazing on the corals to our right, while sharks and tuna swam by in the shadowy blue waters to our left. This dive site is known to have some of the strongest currents in the region and it is considered to be one of the most dangerous as well, so make sure you keep close to your dive guide. 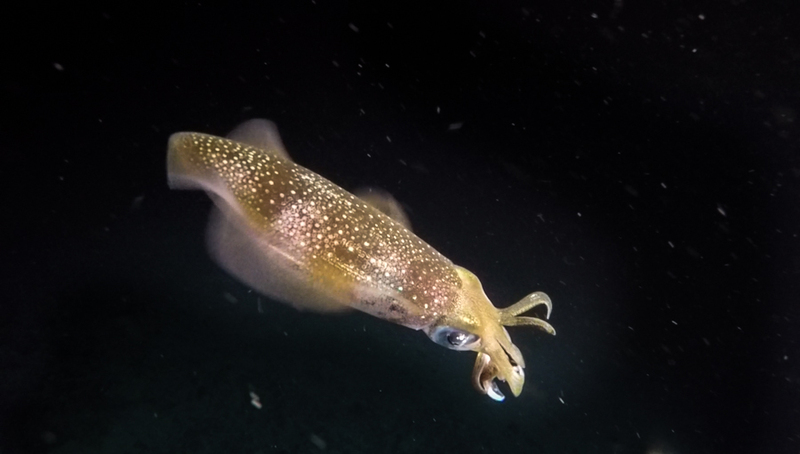 We decided to do Gili Lawa as a night dive and as it was my first one, I was ecstatic to get in the water and see what diving is like in pitch black. We carried torches and descended to about 20 meters, where we found reef sharks, squid, octopus and lion fish all trying to get some sleep while we momentarily harassed them with our lights and cameras. Another one of my favourite dives in Komodo, this one brought us down to around 32 meters on a gently sloping reef. As soon as we got down to the bottom, we saw a massive grey shark eerily swimming back and forth in the deeper water. There were also about a half-dozen reef sharks swimming around the corals and we saw some large traveli, criolle wrasse, a crocodile fish and an enormous school of banner fish that must’ve been 1000 strong. 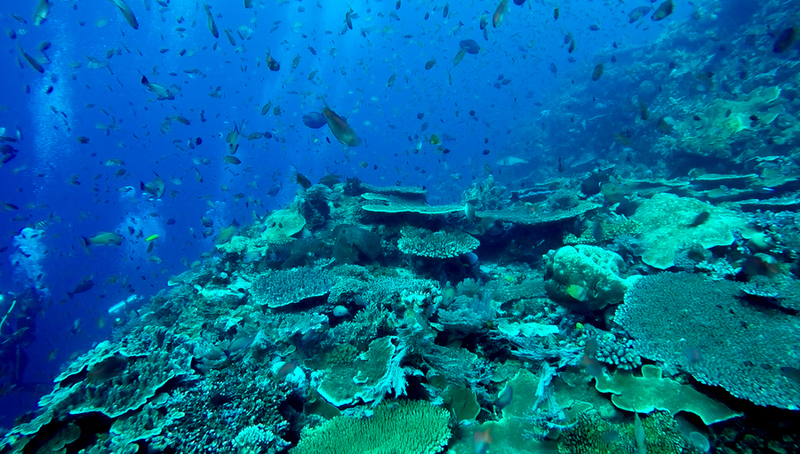 This sea mount dive maxes out at around 35 meters and is located between Castle Rock and Gili Lawa dive sites. You can find morays, stonefish, crocodile fish, day octopus and giant lionfish as well as yellow-ribbon sweetlips, surgeonfish, and anthias. This 20 meter super fast drift dive is located in a channel between Gili Lawa Laut and Gili Lawa Durat. The currents can reach 3 knots here and they fire divers over rich corals and glass fish. You can spot rays, sharks and crocodile fish here as well. This is one of the best macro dives in Indonesia so it’s best to have a good lens to capture the many small reef animals that call this dive site their home. There are also plenty of porcupine fish, triggerfish, scrawled filefish, and giant pufferfish. This dive site is easy for the boats to spot because it’s marked by a massive, lonely mangrove tree that’s perched alone on a rock in the sea. Below the surface you’ll find swim-throughs, overhangs, caves and valleys going all the way down to 35 meters depth. This is where many fish species including napoleon wrasse, large emperor sweetlips, hawksbill turtles, giant puffers and grouper sometimes seek shelter. While there are some advanced dives in Komodo (as well as some advanced planning needed to make the most of your trip) it’s really not too difficult to plan a trip here. Here are a few things to keep in mind. 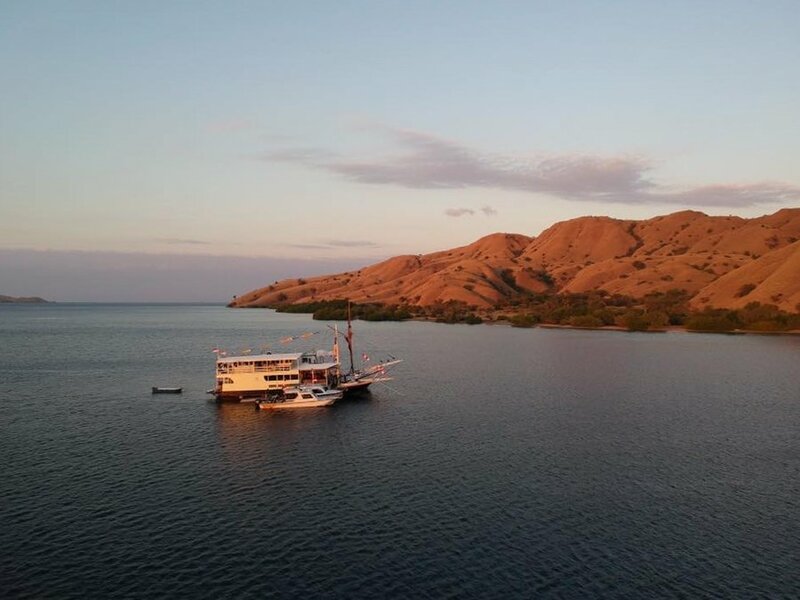 While you can dive in Komodo year-round, the best time to visit Komodo for a dive trip is from April to June, during the dry season. This is the period of time just after the rainy season and the fish life is most-abundant in these months. The rainy season starts in November and carries on until March and while diving is still possible during this time, visibility and dive schedules can be limited due to weather, although it only usually rains for around 2 hours per day. July and August are the best months for spotting mantas as this is when the cooler seas promote massive plankton blooms, attracting the winged beasts from the deeper waters. The worst months are probably January and March when there is heavy rainfall, stronger currents and often choppy surface conditions. It’s still possible to dive during this time, but it may not be as enjoyable as in the high season. The most dangerous thing in Komodo, like many of the best dive locations in Indonesia, is the sometimes unpredictable current. 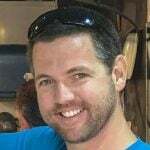 If you go with a reputable dive shop, dive well within your certification limits, and stick close to your dive guide and your group, you’ll be absolutely fine. Specifically Castle Rock and Batu Balong can have strong currents, so make sure you listen to your dive guide and only visit dive sites as the conditions permit. There is no hyperbaric chamber in Komodo or Labuan Bajo at the time of writing, but there are talks of adding it into the hospital that was built in 2016 in LBJ. The lack of decompression treatment facilities is all the more reason to dive within the limits of your dive tables and stick close to your group. We have used and recommend World Nomads Travel Insurance in the past and can honestly recommend them for pricing and service. There are a great insurance company for long-term travellers and adventure travellers because they cover a lot of activities (including diving) and you can apply while you’re already on the road. The best way to avoid getting the bends with no decompression chamber nearby is to dive well within the limitations of the dive tables and start the day with your deepest dive, progressively getting shallower with each dive that follows. It’s also a good idea to dive with a dive computer. I use and recommend Aqua Lung i200. While the diving is world-class in Komodo, it’s not the only thing that draws thousands of people to these remote islands in eastern Indonesia. There are also plenty of above the water activities in the region. 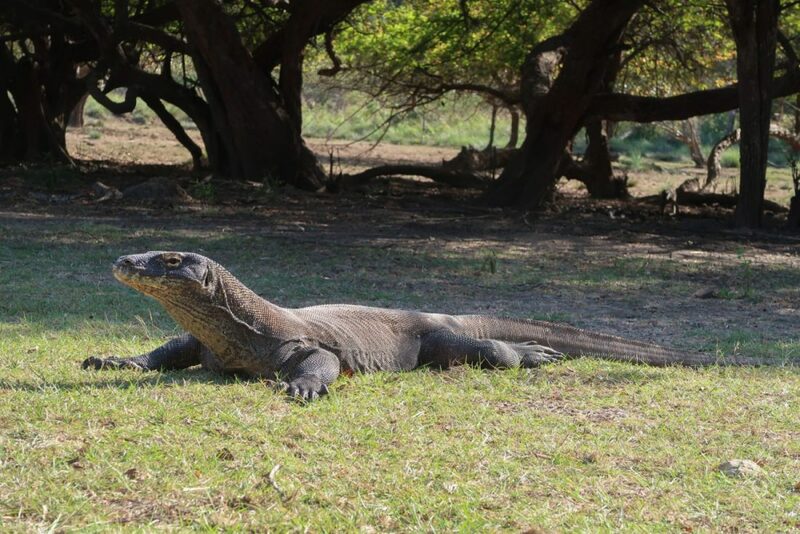 There are Komodo Dragons on a few of the islands in the National Park, the most common (and the place where the dragons tend to be the largest) is on Komodo Island, but another popular spot and where we went, is Rinca Island. These are the largest reptiles in the world and they can be spotted lounging in the sun or slowly walking around the desert-like landscape. Some visitors have even had the opportunity to see them munching on massive buffalo that they’ve hunted and killed. Most people will book a trip to Komodo as a day trip, or a trip added on to a liveaboard dive trip. Prices for a full-day tour from Labuan Bajo including lunch, transport, park entrance fees and a bit of snorkelling are usually around $140 – $175 USD per person. 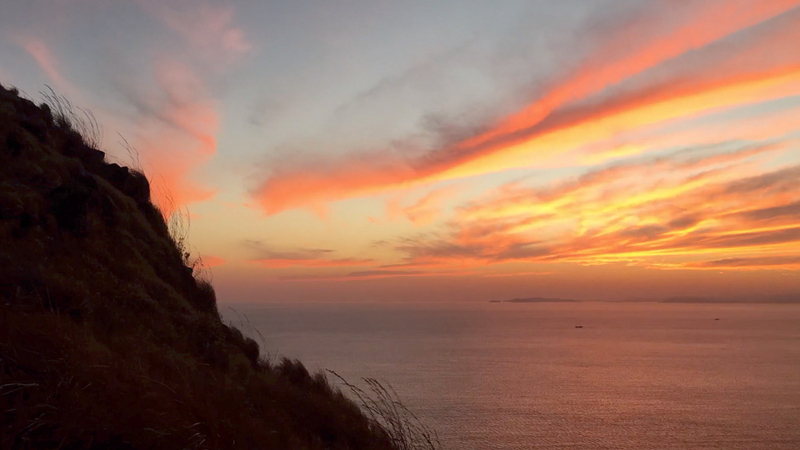 There are some tours that can be organized from Labuan Bajo that will take you out on a boat to see the massive bats fly out of their caves at dusk. It’s quite a sight and worth a trip. The bats are enormous and there are so many of them that they cloud the skies. 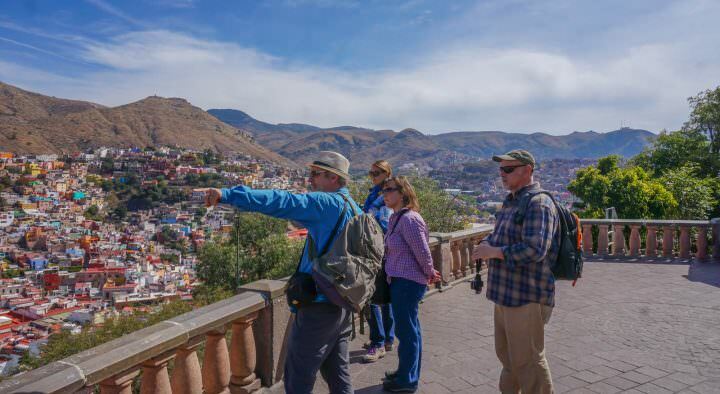 If you’re on a liveaboard boat for a few days, they’ll likely park somewhere that you can see the bats, but if this is something you really want on your itinerary, you should confirm with your operator. I highly recommend getting up early (no matter how much you hate mornings) to check out the sunrise on the top of the hill on Gili Lawa. If you’re on a liveaboard, the trip is quite easy. You can wake up at 3:30 in the morning, take a small boat to Gili Lawa, hike up the hill for 30 minutes and then wait for the spectacle to begin. Should You Go Diving in Komodo? The answer to this question is yes. 100%. Whether you’re an experienced diver or you just completed your open water course, Komodo has diving for all levels. It’s hard to explain exactly how incredible the diving is in this part of the world, but you’re basically swimming around an aquarium that seems to have too many fish in a confined space. But the space isn’t confined, it’s the entire Savu Sea and the coral triangle will blow your mind at every turn, at every dive site. 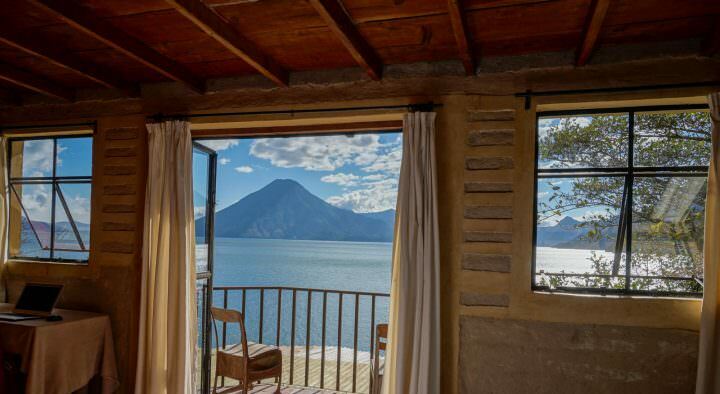 This isn’t even to mention the breathtaking topography above the water. Komodo National Park was listed as one of the New 7 Natural Wonders and when you see it, you’ll understand why. From the massive dragons and mantas, to the sunrises and sunsets over the rippled hills, Komodo is the durasic park of our world. Go there. Put it on your bucket list. Post a picture of the islands up on your wall. This is one of the mose beautiful regions on Earth. Don’t Miss Our Diving in Komodo Video! Very glad to see this video thanks for sharing this post. It clearly seems that you had a very great time in Komodo. Thanks for letting us about this place and its various things which can give us some adventurous time. That sure was some amazing diving. Such a lot of variety and such wonderful colours! 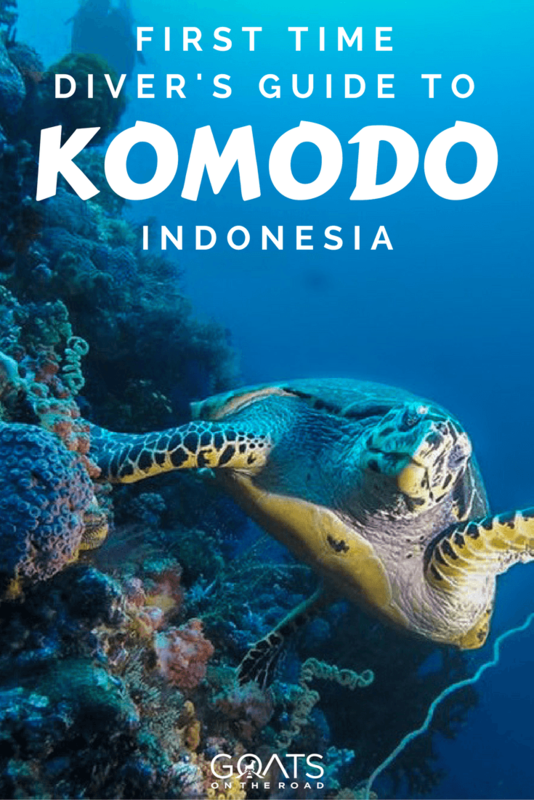 Thanks for sharing this amazing post and photographs, Komodo Island is next in my bucket list and in January i will get the experience of this amazing Island. Glad to know about it. Thanks for sharing this amazing post and photographs, Komodo Island is next on my bucket list and in January I will get the experience of this amazing Island. Glad to know about it. Nick, I really enjoyed your Indonesian diving videos. My husband and I are huge fans of your YouTube channel. I really enjoy snorkeling and hope one day to learn to dive as well–thanks for the inspiration!